I’ll be back next week with another great expert podcast! Sam was mad that I made him put a sweatshirt over his favorite paint stained school t-shirt. LOL! My kids went back to school two weeks ago. It’s been a relatively smooth transition from summer to the school year routine, a somewhat sharp contrast from last year. Last year we went from having a full time nanny to having both kids in school full time the day after a Labor Day weekend vacation. This year, we have the same routine as last year with the kids at the same schools as before. We’re also blessed to have our amazing after school sitter still have availability to help out again this year. It feels good to be back into the routine again, even though I love summer and am sad to see it end. My daughter Sophia turned 7 the first week of school. Despite our intentions of only having one birthday party, we ended up having two for her: one for her friends and one for family. It was a fun weekend reconnecting with her school friends’ parents on Saturday and hanging with the family on Sunday. And it was chaotic. All the while leading up to and preparing for the weekend’s festivities I was feeling a little burned out on all of the work that I had on my plate: my full time job, doing mom/family/house stuff, and the podcast. I was grateful to be able to celebrate Sophia’s birthday the way we did, but with all of the other stuff I had going on, it didn’t give me much breathing room to relax and take care of myself. And as we know from the interview with Karen Davis on self care – it is vitally important! I knew something had to give. After giving things a lot of thought I’ve decided to move the podcast from a weekly show to a biweekly show. I’m a little over 3 months into my podcasting journey, and I’ve learned a lot in the process. Once the excitement of the launch faded, I was left with the work of producing a podcast and I realized that while I still love interviewing people and sharing their stories and expertise, the back end production of putting together the show week after week is a lot of work. And during this “back to school” transition, producing the podcast became a job and something I had to do in order to keep to my weekly release schedule rather than something I enjoyed and was doing for fun. 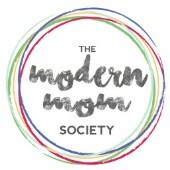 So I’m hopeful that by scaling back some on the production schedule, it will be less of a burden and I’ll feel a little more balance with what I’m doing here at The Modern Mom Society. While I’m mostly doing the podcast and website for fun and to help others, I’d be lying if I told you I wasn’t ultimately doing it to make money at some point. To that end, I need to spread the word and market the podcast and website a lot more than I have been able to with the time I have to devote to doing this “side hustle”. Decreasing the frequency of the podcast will open up some more time for me to work on other fun ideas that I’ve had floating around on how to engage my community and add more people to the Modern Mom Society audience. My cluttered desk. Stop the stuff madness! In addition, I have several other projects that I’ve been wanting to do and I just haven’t had the time for them. Like simplifying my home and purging things so that all the stuff isn’t such a burden; spending more quality time with the kids; working on the 2017 Rubin family yearbook; cleaning out my iTunes library…. So, hoping to get those into the mix as well. How’s balance been for you lately? Back to school transition working out for your family? Big hugs and high fives for all the hard work YOU do, mama!